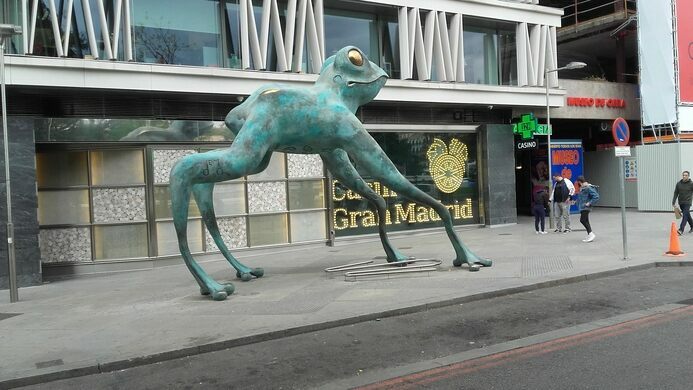 Next to the Gran Madrid Casino’s gate, stands a big and seemingly outlandish frog. 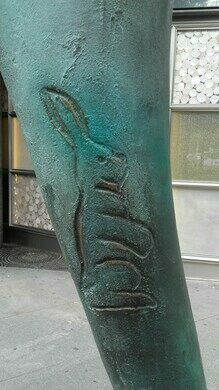 This bronze sculpture, created by Eladio de Mora (alias dEmo), was installed in April 2014 as a gift from the Gran Madrid Casino. 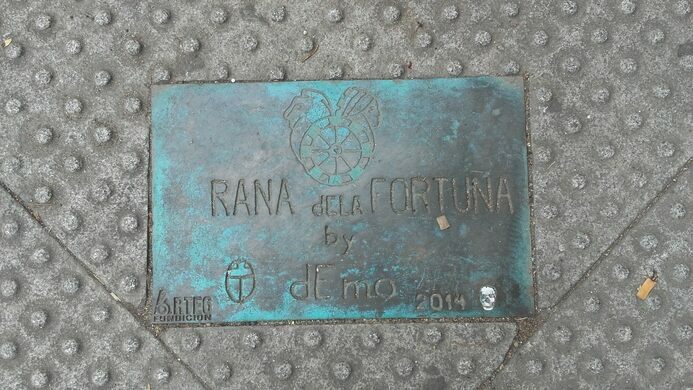 Spain’s last casino closed 90 years ago when gambling was forbidden during the Franco regime. 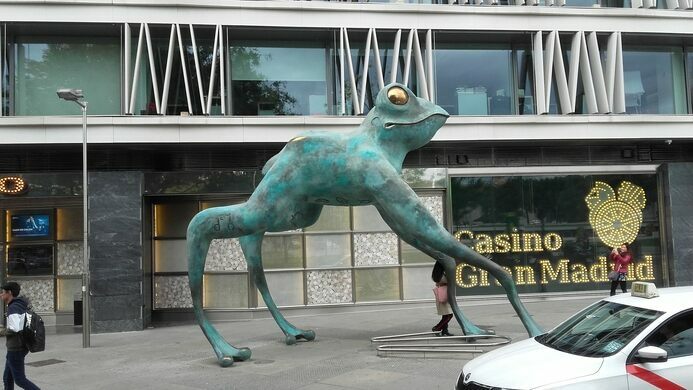 To honor the return of casinos to Madrid, the Gran Madrid Casino gifted the lucky frog to the city. Why a frog? A frog was chosen for its symbolic fortune in many cultures around the world, particularly in the Chinese Feng Shui tradition. According to tradition, frogs have traditionally been animals that bring good luck. According to legend, the origin of this tradition came because frogs are found near water, which is essential to survival. The presence of a frog always indicated life-saving water was near, turning the animals into symbols of luck. 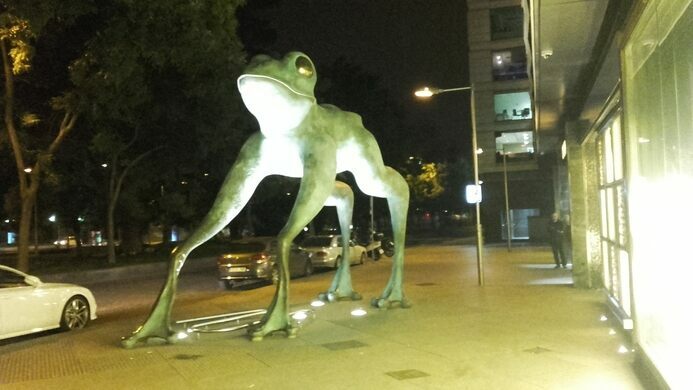 Eladio de Mora is a famous sculptor in Spain and his bronze frog sculpture measures 11,500 feet high, tall enough for people to walk beneath the frog and marvel at the 34 lucky symbols and numbers engraved in its underbelly. 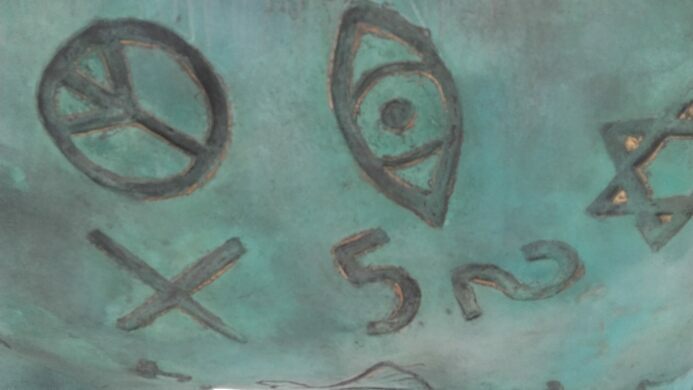 Carved into the great big frog are several numbers and representative figures including an Egyptian beetle, a four-leaf clover, a horseshoe with seven nails, a rabbit, a dolphin, an elephant, an owl, a witch with a broom, a heart, a key, the symbol of the dollar, the euro and the pound, a star, a moon, the hippy symbol , the yin-yang, an eye, an X, a chicken bone, the Chinese Do, the Hindu Ohm, the symbol of infinity, an open hand with an eye in the palm, a fist with the thumb raised, and an Italian red horn. 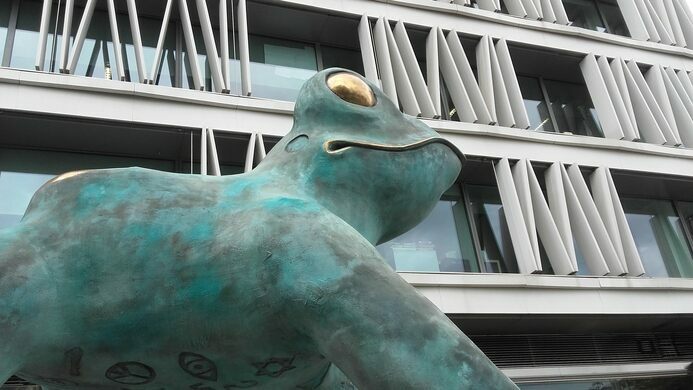 The Lucky Frog statue is situated in front of Casino Gran Madrid near Colón Square in 37, Recoletos Avenue. Visitors can reach the statue by subway or bus. This embalmed man is one of the best preserved mummies from the Canary Islands.